Someone who follows food news knows that butter is back. What’s really in is cooking oil. In 2010, while Americans consumed 4.9 pounds of butter a year per capita, they consumed 53.6 pounds of cooking oil. From commonly used oils like canola and olive to others like avocado and hempseed oil, there are a ton of oils out there to use for culinary purposes. With so many kinds of oils, choosing the right one for cooking can be daunting. Health benefits aside, the key factors you need to consider are heating temperature and flavor. Oils break down at a certain temperature, which is known as their smoke point. The smoke point for oils is always a rough estimate, because the breakdown happens gradually and not at a precise moment, and also because smoke points depend on how refined the oil is. Regular olive oil is more refined than extra virgin olive oil, and there might be varying degrees of refinement for various peanut oils. Here are 11 common cooking oils, and how to choose the right one for your recipes. What it is: Olive oil comes from pressing whole olives. 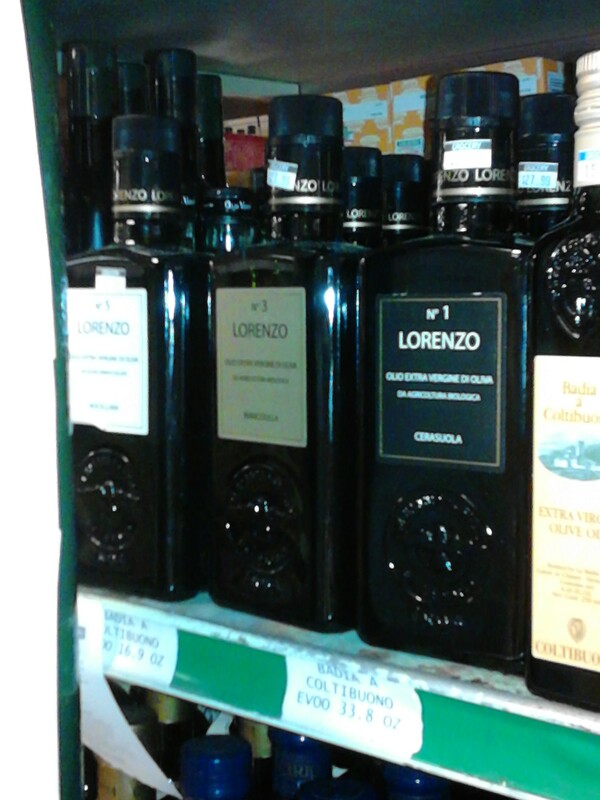 While it’s used all over the world, it is the primary cooking oil used in the Mediterranean. It is high in good-for-your-heart monounsaturated fatty acids. What it’s good for: Extra virgin olive oil has the richest flavor because it is made without any heat or chemicals, which makes it good for salad dressings and drizzling. Refined olive oil is good for sautéing. What it is: Canola oil is low in saturated fat, with only seven percent saturated fat — compared to sunflower oil, which has 12 percent, and olive oil, which 15 percent saturated fat. It has a neutral flavor, high smoke point and is also relatively inexpensive. What it is: Vegetable oil refers to any plant-based oil, which may include any or a combination of the following: soybean, sunflower or safflower oil. Most vegetable oils have a high smoke point and neutral flavor, which make them great for baking. What it is: Peanut oil has a mild flavor and high smoke point, which makes it great for deep-frying and a range of other cooking. It’s made from pressed steam-cooked peanuts and is popular in Asian cooking. What it is: Grapeseed oil is versatile — it has a somewhat neutral flavor and medium-high smoke point. It can be used in salad dressings, but also works for sautéing and baking. And it’s a by-product of wine-making! What it is: Sunflower oil’s high smoke point and light flavor make it a favorite for frying, but it is also good oil for baking. It is made from pressed sunflower seeds, is high in vitamin E and low in saturated fat. What it is: Safflower oil has a neutral flavor and the refined kind has a very high smoke point, which makes it great for searing and deep frying. It comes from the seeds of a safflower plant (which is related to the sunflower). What it is: Coconut oil is having a moment right now — it’s the darling of vegan cooks, who often use it as a replacement for butter in baking. It’s turning up in vegan recipes and products all over the place. Extracted from the meat or kernel of a coconut, the oil has a distinct, sweet flavor — the natural sweetness makes it good for baking sweet treats and also for certain sautéed dishes. It is high in (not-good-for your-heart) saturated fat — specifically a kind called lauric acid, which some consider a healthier fat source. What it is: Sesame oil has a very distinct flavor and is popular in Asian cooking. Light sesame oil has different uses than dark sesame oil. What it’s good for: Light is good for deep-frying and dark sesame oil is better for stir-frying and dipping sauces and used more for the flavor that it gives off. What it is: Corn oil is made from corn kernels and its high smoke point makes it good for frying. It’s a favorite of fast food chains — almost 70 percent of fast food restaurants make French fries with corn oil. It’s also used to make margarine. The oil is high in saturated fats and low in so-called good fats, which is why it’s often considered one of the unhealthiest oils (GMO content oil). What it is: Soybean oil has a stronger flavor and aroma and is commonly used in processed foods. In 2007, NPR reported that almost 80 percent of oil used for cooking and baking in the U.S. came from soybeans. Because it has a short shelf-life, soybean oil often gets treated with hydrogen gas, which creates trans fats. In 2005 we were consuming 15.5 billion pounds in 2005 and about half of that was partly hydrogenated, the New York Times reports. With the government’s ban on trans fat, that statistic should soon change. In 2012, the use of edible soybean fell to 12.3 billion pounds.